When retired US Marshal Tom Stafford sets out for a new life, the past and future collide. A night stop in the town of Stratton is the prelude to mayhem, where there is love – in the form of the feisty Ella Farrell – murder, and simmering tension. But when Stafford gets wind that the man who ordered the deaths of his wife and child is close, he faces the prospect of confronting a lawless thug. Before long, aching for revenge and the hand of Ella, Stafford swears an oath: he’ll take up his law badge again and eliminate his demons. This, the fourth book to carry the author name of Clay Starmer, is the first I’ve read by this writer. Starmer sure packs a lot into his story, the ex-marshal looking to escape the ghosts of his dead wife and child, Ella Farrell suffering from her own loses, outlaws, gold miners, soldiers and Cheyenne all find their various paths converging towards a final cliff top showdown. With that many storylines crammed into 160 pages the author has to move his tale forward at a very fast pace. Dialogue crackles in a hard-boiled style, even the women get straight to the point. Emotions run high in some cases, particularly in Ella as events push her to the edge of insanity. The book is filled with action, which includes framing someone, kidnapping, robbery and plenty of killings. Starmer also struggles with his feelings for Ella and his promise made to the memory of his dead wife. If you intend to buy a copy of this book from Amazon (and it’s probably the same through other booksellers) please note that the cover image above is a scan of the actual book I have which is not quite as it’ll appear at Amazon. The difference being the authors name, Clay Starmer on my book but on the cover images shown at Amazon is has the author as Pete Fordham (his real name? ), so if searching for it try using that name, or just go through the links below. 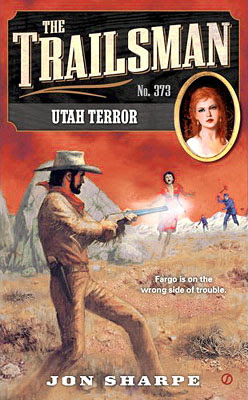 Skye Fargo is surprised to meet anyone in the badlands of Utah Territory. But what’s more surprising is that the men he meets are Chinese. They claim to be looking for a young runaway girl who has disgraced her family – but there’s something sinister about them. And the Trailsman is about to find out that once you get involved in the affairs of the dreaded underworld tong, the only way out is death…. Jon Sharpe, in this case David Robbins writing under the house name, sure doesn’t believe in giving Fargo and easy time. Here the Trailsman finds himself facing a small army of hatchet men, all of whom are willing to die to protect their master and his plans. Plans that include driving Americans from this part of Utah and killing those who oppose him. Fargo soon finds himself fighting to protect the runaway girl and it isn’t long before his temper boils over and he declares war on the Tong. This all results in a book that is packed with action, virtually every chapter contains a brutal fight of some kind. Dialogue is as keen as the sharp edges of the hatchets and is laced with wicked, and at times sarcastic, humour. Characters are engaging and compel the reader to keep turning the pages. Fargo’s one man attack on the Pagoda and its army of protective Tong makes for exciting reading and brings the book to an enthralling close. As a young man, Red Cavanagh awoke one morning to find his father dead – murdered by members of the old Willis Walton gang. Setting off in pursuit, he stopped in Bald Hills to secure himself a rifle but didn’t succeed. Then, within hours, a grave is discovered in a clearing, covered with a crude wooden cross bearing the name Red Cavanagh…. Four years on and Bald Hills is in deep trouble. The transcontinental railroad is likely to be routed to the north of the town, and a greedy local rancher is seizing property and land aided by gunman Chet Warrener. There seems no hope for the ordinary townspeople. Until, one day, a stranger rides into town…. Jim Lawless had me hooked from almost the word go with a fistful of questions that needed answers, such as who was the fourth member of the Willis Walton gang, what three of them were arguing about with Red’s father, and, later, was Red dead or alive? The story is told at a fast pace with twists aplenty and includes a hanging, whipping, murder, kidnapping and gunfights. Jim Lawless is one of the pseudonyms used by John Paxton Sheriff, an author who can be counted upon to give the reader an exciting, difficult to put down read and this book adds more strength to that statement. 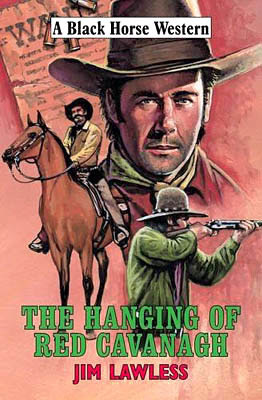 The Hanging of Red Cavanagh has an official release date of November 30th but is available now. Samuel Roark is a small-time rancher and part-time lawyer. One personal tragedy after another leaves Samuel gripped by periodic bouts of depression. When a hidden marksman of uncommon skill murders his son, the death leaves Samuel on the brink of total madness. Roark’s wife Sarah, a woman of strength, grace and startling beauty is now both emotionally and physically exhausted by the tragic circumstances that have beset her family. After discovering her husband’s quest for revenge, she does everything in her power to prevent what she fears will ultimately destroy him. Matthew Shaw is a known manhunter and soldier of fortune that people call on when they’re willing to pay someone else to deal with obstacles in their lives. When required, Shaw reluctantly uses his considerable marksmanship to achieve those ends. Now Shaw finds himself caught between a job he truly believes in, and a very good reason to walk away when he realizes he’s falling in love with Sarah, the wife of the man who hired him. 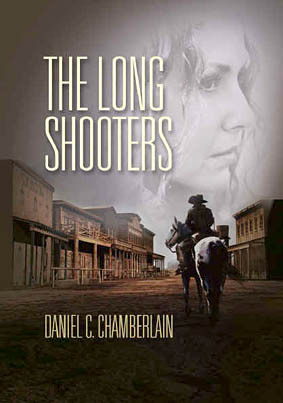 Daniel C. Chamberlain has come up with a superb western murder mystery in The Long Shooters. Each of his characters are fascinating and I was soon wondering just who the hidden marksman was, and who hired him and why. Yes, I had my ideas but soon discovered that Chamberlain is a master of misdirection and he regularly blew most of my theories out of the water. Gunfights and killings are hard-hitting but the savagery of these acts is balanced by the developing attractions Shaw and Sarah are beginning to feel for each other. Whilst hunting for clues Shaw also starts to mistrust Roark as the corpses begin to pile up every time Roark is out on his own. The final sniping showdown between Shaw and the marksman makes for tense reading that in turn leads to some unforeseen revelations as to who hired the killer and why. For those who are interested in guns, this book is definitely a must read. Chamberlain includes loads of facts about most of the guns that are used in this story. None of his explanations come across as technical essays but rather as a natural part of the storyline. The early use of the Stephens rifle is beautifully told and grabbed my interest easily. 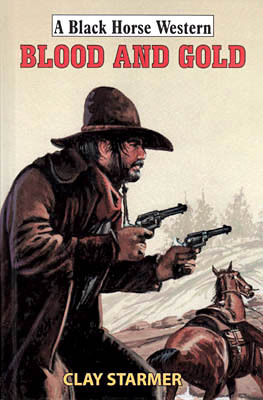 But it’s not just those with an interest in guns that will enjoy this book, as I believe anyone who enjoys fast paced westerns will do so too. I know I’m looking forward to Daniel C. Chamberlain’s next. The Long Shooters is available as a paper book, ebook and audio download. The dust-covered stranger rode into Blackwater with his eyes sharp, and his Colts loosened in their holsters. To see him was to know he was ruthless, dangerous – a hunter who sought human prey. But the men he hunted were also ruthless – and when they met a number chapter would be added to the violent annals of the Old West. Gregory Cord, Pinkerton operative, was sent to Tucson, Arizona, on two assignments – to find out who was rustling the Gila Valley cattle and to keep a watchful eye on Henry Acheson, one-time big city magnate, who had ridden into Tucson with a hundred thousand dollars, and who planned to re-open a disused silver mine. When Acheson was murdered suspicion pointed at several people, amongst them was his brother, Ned, and his beautiful, wilful niece, Nancy, both of whom stood to lose if Acheson went ahead with his plan to put the silver mine back into production. But suspicion turned also upon Gregory Cord and he found himself caught up in a maelstrom of violence, fast action, and ambush, he found also that much more than his life was at stake if he was to prove his innocence and bring the killer to justice. Texas…and the storm clouds were gathering. The troubled State was being pulled many ways at once. There were still secessionists who wanted to separate from the Union, and others who worked for a take-over by Mexico. Meanwhile, Geronimo and his Apaches were preparing a rising that could spread rapine and massacre across the land. Gunrunners had 10,000 Henry Repeater rifles for sale to the highest bidder. Into whose hands would they fall? It was a long and dangerous trail that led to the final, bloody showdown with the notorious Mick McQuade. Innocent men – and women too – died violent and painful deaths before a stranger from Chicago brought law and order to a rip-roaring and lawless territory. 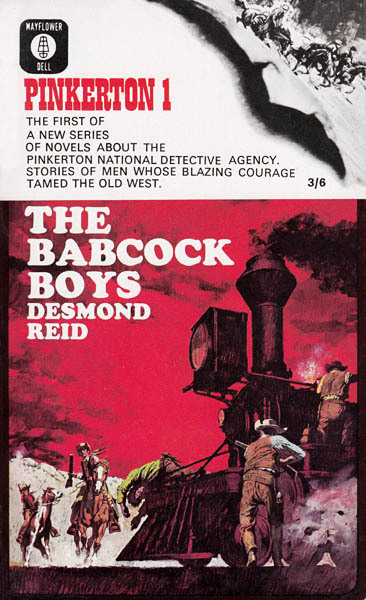 This series ran to four books, all appearing in 1966. You’ll also note that the last title has an author name switch to W. Howard Baker from Desmond Reid. It is believed that Baker is the actual author of all the books. I’ve also seen mentioned that this is the first western series to be numbered. Book 25 of the series. During the ritual of the Sun Dance the young Northern Cheyenne braves tested their manhood. It was a sacred time, but it was also a time when the hatreds of the year could boil over into open warfare. When a wild-eyed, Bible-thumping fanatic sets his band of two armed men and eight very disarming women right in the middle of the Cheyennes’ ceremonial grounds, trouble is certain. Lt. Matt Kincaid has a feeling that there’s more to this “preacher” than meets the eye as he and scout Windy Mandalian move fast to head off an Indian uprising. This book begins with a number of different story threads that gradually become linked by preacher Jeremiah Henson, the author switching between his excellent mix of characters at regular intervals ensuring I continued to read in the need to find out what happened next to each of them. In fact for the first half or so of the book Easy Company have little to do as it’s their scout who takes centre stage for this part of the very fast moving story. John Wesley Howard is a pseudonym and this entry in the series was written by Kenneth Bjorgum, and he easily swept me up in his tale of mistrusts, lies, and broken promises, that soon become a frantic race against time to prevent an Indian war. I’ve always enjoyed reading the Easy Company books and this story matches the quality of those before it, once again leaving me eager to read the next in the series. As a wet-behind-the-ears kid, Faro Blake had learned every trick of the gambler’s trade from his father, A.B. Blake, the last, great survivor of the Natchez Cleanout. Soon enough, whether his clever hands were closing around a gun, a deck of cards or a beautiful lady, Faro moved with a smooth grace that always put him on top and riding easy. But now his father was dead – a victim of lynch-mob justice – and Faro was in a game he had to win…a game where deadly killers made the rules, where a warm and willing woman sweetened the pot, and vengeance – or death – would be the last, big prize. 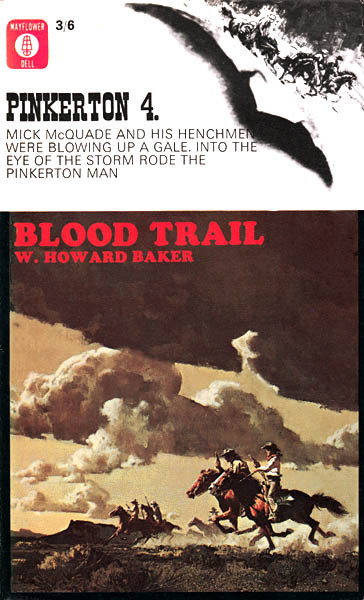 The early 80’s saw a flood of adult westerns hit the shelves and the Faro Blake series was one of those. A new book was published every other month and this series reached 31 books. 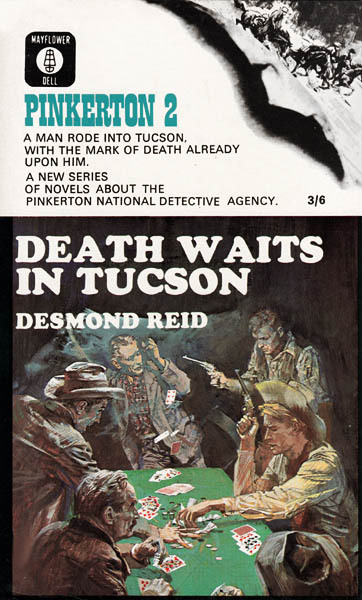 Not sure how many different authors wrote under the pseudonym of Zeke Masters but I believe just under a third of the series was written by Donald R. Bensen, and this one was one of those. Like the first story in any series this one fills the reader in on Faro Blake’s background and also introduces two characters that will return in many of the books that follow; namely Nell Garvin and Doc Prentiss, the latter being a confidence man who aids Faro in his hours of need. Faro only really has one aim in this story and that’s to get revenge for his father’s death, his intention being to kill the two men he holds responsible, but achieving this isn’t a straightforward as he hopes. 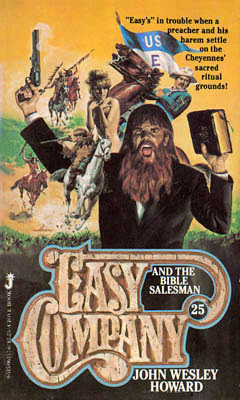 The story also contains some light-hearted moments as Faro aids a preacher to break the Commandments, which often results in comical outcomes. Why the preacher wants to do this you’ll have to find out for yourself. My final thoughts on this book is that it proved to be an entertaining read that left me keen to read the next in the series sometime soon. After getting involved in a saloon-room brawl in Fort Lord, Dalton is arrested. His situation worsens when an unsympathetic judge sentences him to a year in jail unless he takes the alternative of signing up with the Plains Cavalry. Dalton reckons that anything will be better than breaking rocks, but when he joins Company H – known as Company Hell – he soon regrets his decision. The troopers are a motley collection of prisoners recruited from jailhouses, or gunslingers running from arrest warrants. As his fellow troopers are more determined to destroy the peace than to keep it, Dalton will need all his survival skills to serve out his term and all his ingenuity to defeat their plans. 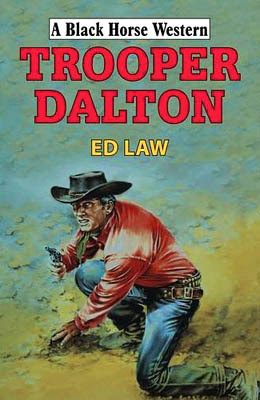 This is the eighth book in Ed Law’s Dalton series and it doesn’t matter if you haven’t read any of the previous books to get full enjoyment from this one. Any of Dalton’s past that is relevant to this story is included. Ed Law doesn’t believe in giving his hero an easy time, and in this story Dalton will find himself facing death a number of times. 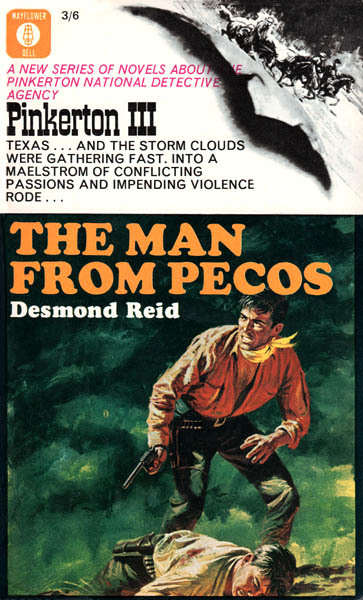 Law writes some extremely tense situations that make for gripping reading, such as when Law finds himself facing a firing squad with no hope of escape. Dalton also becomes involved with some colourful characters, such as a priest with an unusual self-given task, a burden of labour that will play an important part in the outcome of this story. Here's the fourth part of the list of westerns from series and those with sequels that I have, or have had, in my collection. You can find the previous parts by clicking on the label at the end of this post.